Just before the new millennium, artist Jared Manninen went on a 2,160 mile hike through dense forests and over rugged mountains. He carried only what he could fit inside of his backpack. MEGA '99 is the story about that experience. It is the story of an Appalachian Trail thru-hiker. Jared began his journey at the Appalachian Trail's northern terminus (Mount Katahdin, ME) on July 1st and traveled south to the southern terminus (Springer Mountain, GA) on December 15th, 1999. MEGA '99 is 172 pages and contains over 150 pen illustrations. 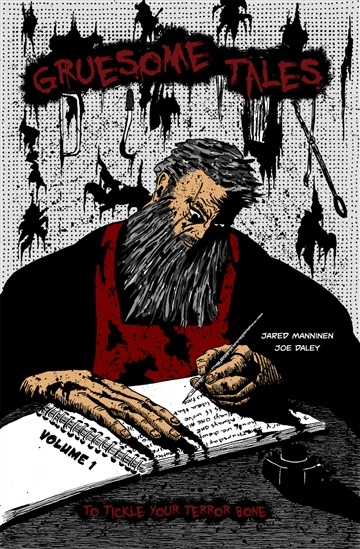 The print (PDF) book is laid out like an artist's travel journal and chronicles Jared's 167-day journey along the Appalachian Trail. Order this version of the book (PDF) if you want the closest experience to a print copy. For more information about the story and to see sample pages of the book, read some brief reviews, and to buy a print version, visit MakotoPress.com. 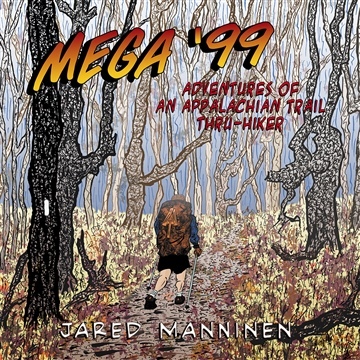 ***Please note that MEGA '99: Adventures of an Appalachian Trail Thru-Hiker was originally designed for print and published on November 30, 2011. The EPUB and MOBI versions have been modified significantly to accommodate digital readers. The visual format has changed, but the content is essentially the same as the print version. Who are Rockhopper, Peachy Keen, Green Bean and Numbnut? bad, the funny, the lonely times on an expedition of this type.